Questions concerning the relationships and boundaries between 'private' business and 'public' government are of great and perennial concern to economists, economic and business historians, political scientists and historians.Conceiving Companies discusses the birth and development of joint-stock companies in 19th century England, an area of great importance to the history of this subject. 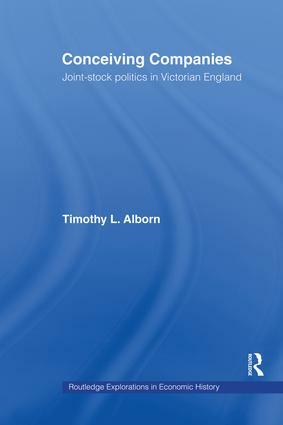 Alborn takes a new approach to the rise of large scale companies in Victorian England, including the Bank of England and East India Company and Victorian railways, locating their origins in political and social practice. He offers a new perspective on an issue of great significance, not only for historians, but for political scientists and economists.